Commonly at Golden Gate VCP, we get questions regarding the differences between compounded medications and commercially-available (manufactured) products. Below we hope to provide some insight into this topic. Q: How do compounded products differ from manufactured drugs? A: The main factor that separates compounds from commercially-available drugs is the scale in which they are made. 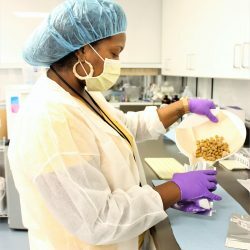 Compounded medications are small-batch, individualized medications, usually in unique dosage forms, strengths, and compositions. The goal of compounding pharmacies, such as ours, is to provide medications that are tailored to individual patients, allowing for more accurate dosing, better compliance, and easier administration. Conversely, manufactured products are made on a much larger scale, for many patients. These drugs are usually made in the most stable form possible, at the dosages most commonly used by the majority of patients. Q: Who regulates each form? A: Manufactured drugs are directly overseen by the FDA, while compounded drugs are primarily regulated by each state’s Board of Pharmacy, with additional guidance from various regulatory bodies, including the United States Pharmacopeia (USP), clinical guidelines, and the FDA. California’s Board of Pharmacy holds its pharmacies to very strict standards for compounding, and each state has their own set of guidelines. Q: What are some benefits of compounded preparations over manufactured products? A: As previously mentioned, compounding allows for the tailoring of drugs into otherwise unavailable dosages and dosage forms. Patients with specific allergies benefit from specialized compounded formulations. Drugs that were pulled from the market for human use, such as cisapride and chloramphenicol, have no alternative besides a compounded formulation, and some commercial products can contain ingredients, such as xylitol in certain gabapentin solutions, which could be harmful to our target patient population. Additionally, many patients require doses outside of the available strengths, for which compounded products may provide that perfect balance of efficacy and limiting adverse effects. And, most commonly at our pharmacy, is the fact that medicating veterinary patients can prove to be an insurmountable challenge for many owners. Medications do not always taste good, and some (if not most) pets are not receptive to their owners having to force medications on them. Compounding provides a good route for alternative dosage forms that can increase compliance, reduce unwanted stress on the patient, and reduce the risk of harm or injury to both the patient and their owners. Q: How do we choose a compounded preparation versus a manufactured product? A: Ultimately, we recommend choosing the product that best fits the treatment of the disease, along with the needs of both the patient and the owner. Whenever a patient is able to take a commercial product, it is usually recommended to begin there, and then move onto a compounded preparation if the commercial product is unsuccessful, or otherwise impractical to give. 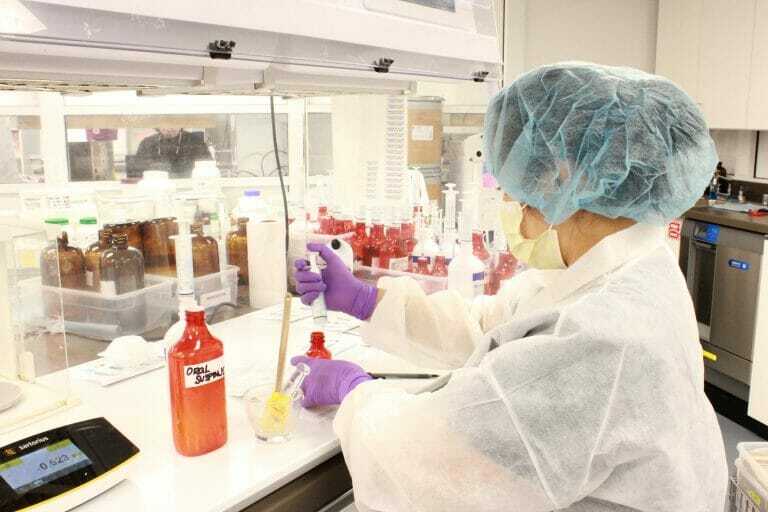 However, because each patient is unique, and provides their own set of challenges in medicating, compounding can be a first line option in many cases. Our pharmacists carefully look at patient and disease-specific needs, as well as drug stability and dosage form considerations, to come up with the best plan of action when making suggestions for patients, whether they be compounded preparations or manufactured products. The goal of Golden Gate VCP is to provide optimal patient care. We take great pride in being your “bridge to exceptional veterinary compounding care.” As always, please contact us with any questions, comments and/or suggestions regarding our services. We are more than happy to help in any way we can. This entry was posted in General and tagged animal meds, animals, cat medication, compounding, compounding pharmacy, dog medication, medications, office use compounds, online pet meds, pet hacks, pet medication, pet medications, pet meds, pharmaceutical compounding, pharmacy, vet meds, veterinary, veterinary care, veterinary compounding, veterinary medicine, veterinary pharmacy. Bookmark the permalink.